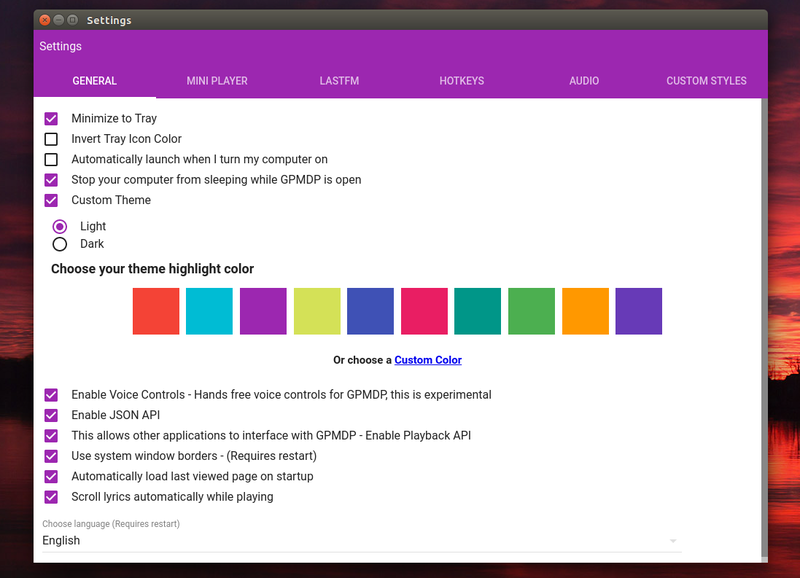 Google Play Music Desktop Player (GPMDP) is an unofficial Google Play Music desktop application available for Linux, Windows and Mac. The application is built using Electron, so it's a wrapper for the Google Play Music web interface, with various desktop features added on top, like media keys support, tray/indicator and much more. allows choosing your audio output device from within the player. a free mobile remote control app for Android (iOS coming soon). Furthermore, its website says that Google Play Music Desktop Player should use less resources than having Google Play Music open in a regular Google Chrome tab. 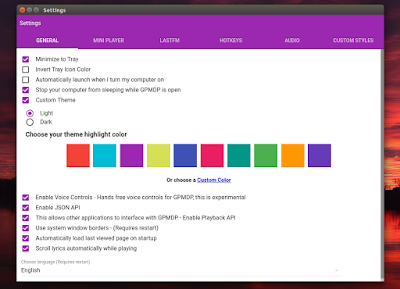 I should add that the voice controls feature (which is experimental) didn't work in my test under Ubuntu. Also, the GPMDP website mentions that the application comes with a built-in equalizer however, that's not the case any more due to a bug in Chromium - hopefully this feature will return in a future release. Note that the GPMDP settings aren't available in its system menu. You can access the settings either from the tray/AppIndicator, or from the left app sidebar ("Desktop Settings"). Some of you may be aware of Nuvola Player, an application that integrates various web-based music streaming services (Google Play Music included) with the Linux desktop, and you may be wondering how Google Play Music Desktop Player compares to it. 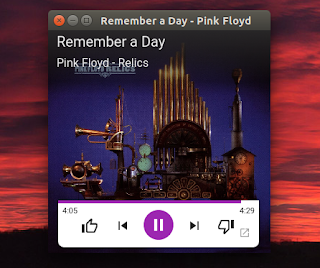 Well, Nuvola Player offers pretty much all the desktop integration you'd need in such an application, however, Google Play Music Desktop Player has some extra features, including customizable theme, a mini player, scrolling lyrics, as well as an Android remote control app. So if you find these features useful, give Google Play Music Desktop Player a try. Note: the latest Google Play Music Desktop Player version doesn't work properly on Linux, that's why there are no Linux binaries available for download for this version. Until this is fixed, grab version 4.0.5. Debian / Ubuntu users can use the Google Play Music Desktop Player repository. You'll find instructions for how to add it HERE. 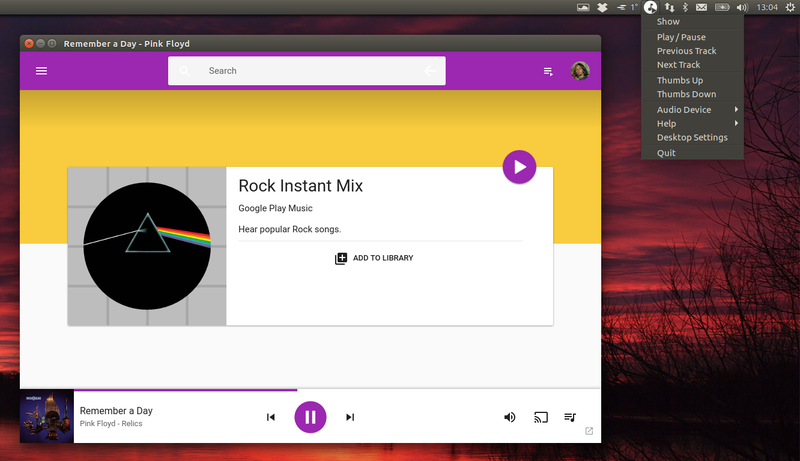 Arch Linux users can use the Google Play Music Desktop Player AUR package. Thanks to Alexander for the tip!